Kitayama is an area known for its artfulness and freethinkers, but in one of the suburbs here, you can find a burger place called The Burger Company which offers charcoal-grilled medium rare burgers that are extremely juicy. They make their ketchup and tartar sauce at the restaurant and make their buns using natural yeast, and you can taste this attention to detail. They have over 10 different burgers for you to choose from, and they’re all big, and have a nice weight to them, and I’m sure that once you get your jaws open wide enough to eat them, you cannot stop! They also offer Buffalo wings, fried onion rings, and other yummy things to have before your burger. You can also get burgers to go here, so if the weather is nice, how about having a burger picnic by the Kamo River or in one of the close by parks! This is the most classic burger among the choices here. 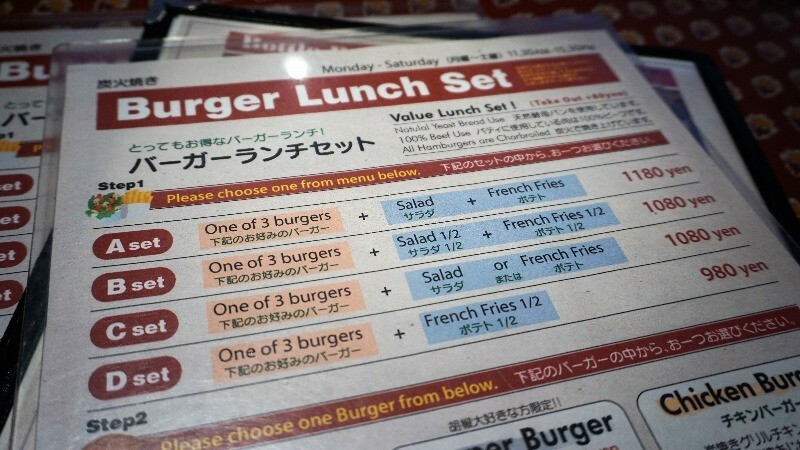 You have lettuce, tomato, onion, Gouda cheese, and a medium-rare patty on the burger, and while the burger and cheese combination is full of umami, the lettuce, tomato, and onion give the taste a refreshing aspect. The salad and hand-cut French fries make this a very nice choice indeed. P.B.M. means pepper, bacon, and mozzarella. The crispy bacon, juicy patty, and mozzarella cheese make this burger a triple-punch of creamy goodness. The black pepper and chili sauce on the burger make it taste even better, but not too spicy, so if you like spicy food, this is the burger for you! It’s hard to resist these deep-fried Buffalo wings which are incredibly crisp. I’m sure that the chili sauce on them will make you want to finish your pint of beer or soda in no time. This is the best choice to have with a pint! There is nothing spicy about these onion rings: they’re full of the sweetness of deep fried onion! But they’re not too greasy, so I’m sure even women will like them. You get ketchup with them, but they’re really good as-is too! There is, of course, a proper way of eating these delicious burgers. First, put the burger in the wrap, and hold it with both hands. Push a little on it to flatten it a bit. And then take a bite and enjoy the taste. Their lunch sets are a very good deal, so I recommend having lunch here. I took a big bite of the burger, and enjoyed the sourness of the ketchup and the thickness of the tartar sauce, and the medium-rare hamburger steak; the taste combination was just beautiful! It’s hard to describe by words how good the burger tasted; I found myself just nodding in agreement to it. You also get a salad and French fries with the burger, so I’m sure you won’t be left feeling hungry! 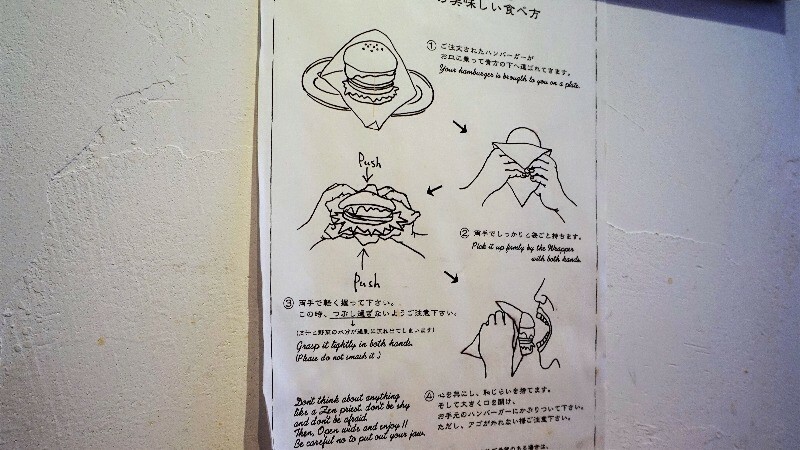 If you want to have a burger in Kyoto, then come to The Burger Company! Their patties are so juicy that after a bite your mouth is filled with a joyful taste of umami. This restaurant is my recommendation in the Kitayama area! A 10-minute walk from subway Karasuma Line Kitayama Station or a 5-minute walk from Shokubutsu-en Kitaguchi (Kyoto Botanical Garden North Side) bus stop. The restaurant is close to the closest subway station and they have their menu in English, so eating here is a relaxing experience.